Keeping your kids safe on the internet can be a challenge. 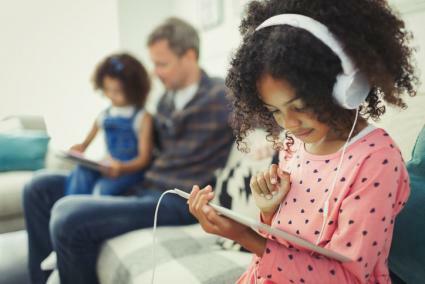 Being proactive and prepared for the dangers your kids can encounter online, whether on social media, video games, or texting, is essential in today's always-connected world. There are many things to do to keep your children safe online and still keep them happy. Kids can enjoy their online experience while staying safe as long as you stay educated about the dangers your kids can encounter and remain involved in their online use. Scott Steinberg, trends expert, futurist, and analyst for over 600 media outlets from CNN to Rolling Stone and The New York Times, has written roughly a dozen books on technology and emerging trends, including the best-selling Modern Parent's Guide series. He speaks at myriad events for teachers, parents, and students and has much insight on how to keep children safe while they are online. In today's online world, kids face dangers such as identity theft, cyberbullying, and exposure to unwanted and unwelcome influences. Scott asserts that the more involved you are in children's lives, and the more you familiarize yourselves with technology, the more you can help make high-tech and online apps, services, and social networks a positive part of childhood and household life. You should avoid saying anything negative about people or places and not to spread rumors or negative gossip. He notes that "if you don't have something nice to say, don't say it - negativity never reflects well on the individual spreading it." Parents to tell their kids to be kind and respectful of others. Don't share any photos or other information that is embarrassing, unflattering or controversial to anyone. Teach kids that if a subject raises even the slightest question in your mind, it's best to just erase it before hitting the post, tweet, or share button. Parents often question what age is suitable for their child to be online. Many popular services suggest that kids be 13 years of age or older before registering to utilize them. Parents need to know what is best for their child and family, and they should be aware of the maturity level of their child. Scott suggests important questions you'll want to ask before getting your child started on social networks. What kinds of new opportunities do social networks create for your family? What sorts of activities are okay on social networks? Which are not? Who is it okay for kids to be friends with online? How do you want your children to be able interact with them? What happens if kids get a friend request from strangers? What social networks sites are okay for your family? Are there any time limits your family will place on the use of social networks? What's the process you will be using to check on kids' activity? Will your family use monitoring software to track behavior? What times of day is it okay to access social networks? When is it not? What personal information is okay to discuss on social networks, and what is not? What do you want kids to do if they come across bad behavior, such as cyberbullying, online? What are your family's biggest concerns about social networks, and how will you avoid them? Always make sure you to continue to engage in dialogue with teens after the initial set-up phase of signing up for social media services, as well. Scott says, "Talk to your kids about what they're up to and doing on social networks, as well as whom they're interacting with." He tells parents to use social networks as a starting point for discussion. This can lead to great and highly informative conversations with your kids. It is important to remind your kids what information is safe for them to share online. This is what will keep them safe while on the internet. Always make a point to protect your privacy. Scott points out that you should never "announce where you are, where you are going, or where you will be, especially as it pertains to family vacations or other instances when you may be away from your home for lengthy periods." When you reveal specifics about where you are or what you are doing, you make children vulnerable. Online predators look for when children may be alone at home or when your house may be completely empty. Scott also mentions to tell your kids not to "accept friend requests from strangers on social networking sites, and to configure your profile so that information and media is only being shared with approved contacts." Note that privacy settings and features may frequently change on some social networks, so it's important to check them regularly and ensure that your information is protected. Many parents find out that their kids get upset that they are monitoring them when they are online. While this is essential for safety, it is not always most welcomed by kids. Scott says, "Speak to kids in a positive, upbeat manner, and educate them as to how social networks work, the upsides, and possible concerns that may arise." He adds, " Let them know where to turn for help if it's needed and make sure they know they can trust you to hear them out, offer positive insights, and not freak out when challenges present themselves." Parents can set rules and guidelines on when it is suitable to use social media and when it should be shut off. Scott says to explain to your kids "the importance of the golden rule, treating others with respect and empathy, and taking time to stop and think before they post." Another issue parents face with their kids online is connecting on social media sites. Many kids are embarrassed when their parents post to their page or follow their friends. Scott suggests, "To avoid embarrassment or overstepping your bounds, refrain from publicly posting to their timeline on Facebook and don't follow their friends on Facebook." He adds that mention parents can teach their kids not to be afraid to ask others to take down. Likewise, teach kids that they shouldn't be afraid to ask others to remove photos, videos, comments, posts or items which you are they don't approve of in which they're tagged from their social network profile. The key to keeping your kids safe while they are on the Internet is staying aware of the challenges that are present online and on social networks. While many social media sites are great for keeping in touch and meeting people you may not have met otherwise, they are also a source of danger for kids. Scott says, "It's important that parents teach kids how to be safe and responsible online citizens and educate them on the challenges and obstacles that social networks present and where to turn for help if questions or concerns arise." It is vital to maintain open communications so if any questionable issues arise while online, you kids know it is safe to turn to you if they encounter any trouble. According to Scott, "It's important to do your research and make a commitment to being involved in your kids' online life." Parents can act as a resource to help make the internet safer for their kids. Keeping up-to-date and informed on current issues and trends can help you understand what your kids are experiencing online. 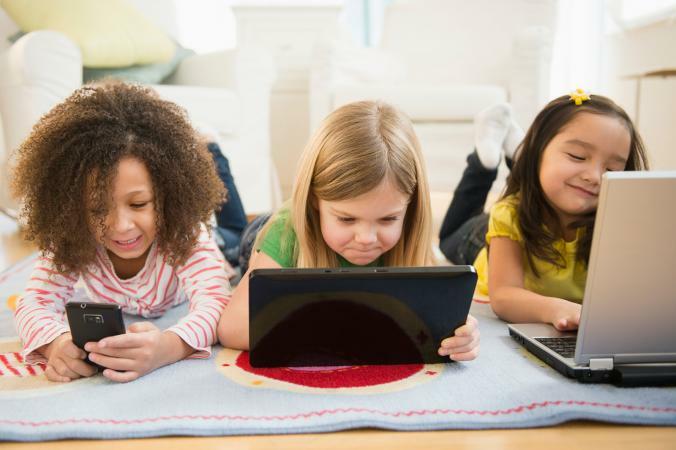 The internet can be a great place for kids to connect with their peers, gather information, and enjoy the online experience. Staying safe while online may be challenging, but it is not impossible.